Andre Heimgartner has no qualms about Kelly Racing team-mate Rick Kelly "drilling the back of me" in their post-pitstop fight at the WD-40 Phillip Island SuperSprint. The Nissan pair started a Heimgartner-led fourth and sixth on Saturday, but emerged from the first corner with Kelly third after a lightning start and Heimgartner fourth. They ran in that order behind the Shell Mustangs until Kelly pitted on lap five and Heimgartner on lap six for their compulsory pitstops. A slower stop for Kelly meant Heimgartner emerged ahead, but the Kiwi then had to resist a fierce challenge from the Castrol Altima. 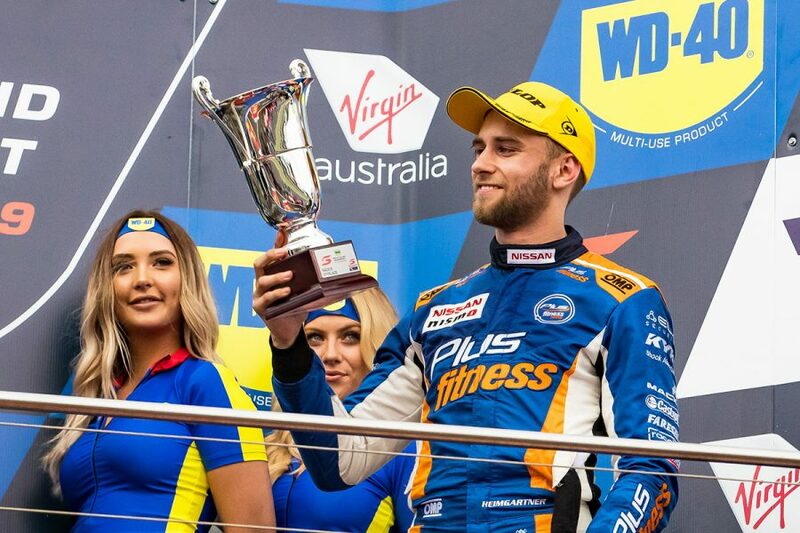 Having prevailed, Heimgartner went on to finish third, the Plus Fitness-backed driver's maiden solo Supercars podium. "He definitely wasn't making it easy for me," Heimgartner said of Kelly. "He was drilling the back of me when I was trying to get on the gas, sideways and the next corner the same thing. "It's all good. When you're in those positions you've got to race each other like you'd race anyone else." 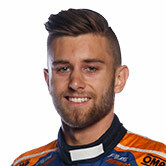 After the intra-team battle, Kelly spent the second stint trying to fend off Cameron Waters for sixth, until Waters tangled with Shane van Gisbergen, who caught them both. 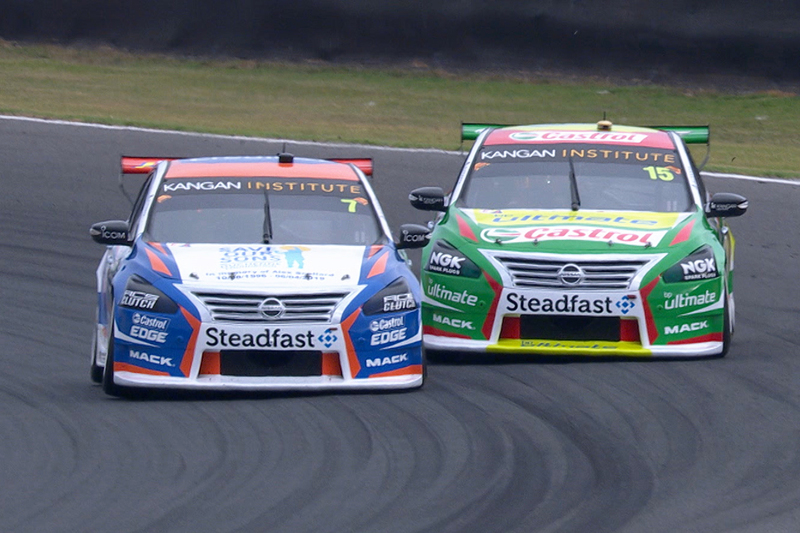 Van Gisbergen then passed Kelly on lap 23 of the 27, which left Kelly seventh, still his best result of the campaign. He noted Heimgartner drove "extremely well" throughout the afternoon, including in their exchange. "We had a good dice out there as well after his pitstop," Kelly said. "It's really quite enjoyable to have someone in the team you can have a solid dice like that with, and go two-wide and it not end up in tears." Heimgartner grabbed a Supercars podium on the Gold Coast in 2017 as Tim Slade's co-driver at Brad Jones Racing. That helped pave the way for his full-time return in a Nissan in 2018, with sixth his best solo result before Saturday's race. It follows a tough first three events for Kelly Racing, which tweaked its Altima's aero over the summer. "It's good to tick that box off," Heimgartner said of the podium. "It's been the one thing I've been missing, having consistent races and I managed put qualifying together. "It's great. The team's obviously had a few tough rounds, finding the set-up window of the car. "To be here [in the press conference], be the third-fastest car in the race and pretty comfortable in doing that is pretty cool. "We'll have to reset tomorrow, it's good to get this result, we'll celebrate it tonight and see how we can improve tomorrow." 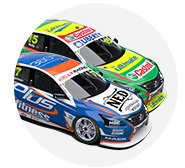 Heimgartner is now 12th in the Supercars standings, with Kelly 18th. 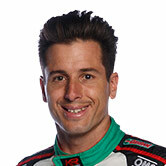 Team-mates Simona De Silvestro and Garry Jacobson finished 16th and 19th on Saturday.